Click here to download Update 43 as a pdf. Nestlé: Get Set, Approval Gone! 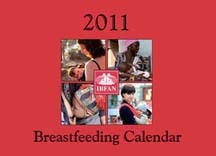 Breastfeeding promotion: a good idea? If so, who pays? 12 A4 full-colour photographs from around the world. £ 7.00 each including UK postage and packing. Order 10 or more for £ 6.00 each. View the pictures in our online Virtual Shop. by Ann Sinnott Drawing on child development theories and neuroscience research, archeological findings and anthropoligical opinion, this book explores the myths and reality surrounding this taboo practice. Our poster summarising the latest research has been fully revised. The former MP covering Buxton, where Nestlé bottles water, stood down at the May General Election. Mr. Tom Levitt became notorious for defending Nestlé after receiving free tickets to the Wimbledon tennis tournament and Lords cricket matches, and an all-expenses-paid trip to South Africa - where he failed to notice Nestlé advertising formula in supermarkets, something that even its competitors labelled as a breach of the marketing requirements. Mr. Levitt refused to meet with Baby Milk Action. Private Eye reported in February that Mr. Levitt had lined up a job as a paid advisor to Nestlé, which Mr. Levitt denied. If Mr. Levitt were to go on the Nestlé payroll, he would be following in the footsteps of past Nestlé apologists such as Lord Nazir Ahmed who became a Nestlé consultant two years after conducting an ‘independent’ investigation of Nestlé in Pakistan, which turned out to have been organised and funded by the company (Update 31). Nestlé completed its sale of its Alcon contact lens business to Novartis in January 2010, fuelling speculation that it would use the US$ 39 billion in its bid to buy Cadbury’s, a UK confectionery company. In the event, Cadbury’s was bought by Kraft in an £11.7 billion takeover. Kraft partly financed the deal by selling its US frozen pizza business to Nestlé, which used US$3.7 billion of its Alcon cash for the purchase. A conference for thousands of female bloggers took place in New York on 8 August. Blogging is big business in the States, with companies offering gifts for product endorsements by prominent bloggers. Last year Nestlé provoked a PR disaster when it invited parenting bloggers to a five-star Californian hotel, complete with celebrity chef. A storm erupted on the Twitter social networking site as people posted questions to be put to Nestlé executives over business malpractice and concerns were raised over conflicts of interest. Nestlé’s Twitter PR disaster was one of the issues scheduled for discussion at BlogHer - then it was announced at the last minute that Nestlé had been taken on board as a sponsor with its Stouffer brand. Several prominent Nestlé critics put their tickets to the event in the bin, but others decided to attend to shame Nestlé and call for BlogHer to implement an ethical funding policy. • According to PR Week in February: “Nestle received a ‘positivity’ score in social media of just 12 out of 100 in an audit by Yomego Social Media Reputation” and was recruiting yet another PR company to try to improve its image. It has also set up digitalthinktank asking members of the public to help. The ad.ly advertising agency also claimed Nestlé is amongst the companies paying celebrities US$10,000 per tweet to say nice things about it. • In April best-selling children’s recipe author Annabel Karmel ended her links with Nestlé after learning about Nestlé’s baby food marketing practices. • We don’t have money but we have supporters. Why not add our new Nestlé - Good Grief ! logo and jingle to online articles about the boycott? Nestlé announced in January 2010 that its four-finger KitKat bars would carry the Fairtrade logo, benefitting 6,000 farmers who gain about an extra £400,000 per year from the Fairtrade premium. Nestlé’s has already received global publicity for this investment, a fraction of the price of the £43 million Nescafé UK advertising campaign running at the same time as the announcement. Nestlé Fairtrade KitKat involves just 1% of the cocoa Nestlé purchases, while the company is criticised for failing to deliver on its promise to end child slavery in the supply chain as a whole by 2006. Download our free leaflet on Fairtrade KitKat from the Virtual Shop. Baby Milk Action suggests chocolate lovers wanting a fair deal for farmers look to companies that are committed to Fair Trade and don’t just use it for marketing purposes. In March, Greenpeace launched a report and 1-minute spoof advertisement highlighting that Nestlé was sourcing palm oil, used in Fairtrade KitKat and other Nestlé products, from Indonesia, where the industry is criticised for cutting down the rainforest. The clip showed a bored office working biting into a finger of KitKat that was really the finger of an Orang-utan, endangered as the rainforest shrinks. Nestlé had the clip removed from youtube for a time, claiming breach of copyright and stated, “we have made a commitment to using only 'Certified Sustainable Palm Oil' by 2015” - much the same as it promised to end child slavery in its cocoa supply chain within five years in 2001. Body Shop was added to the Nestlé boycott list in 2006 after the late Dame Anita Roddick sold it to L’Oreal, part-owned by Nestlé. We raised concerns about the fate of Day Chocolate Company, manufacturer of Divine chocolate, part-owned by Body Shop. Dame Roddick asked us to hold adding this to the boycott list and managed to transfer the holding to the Ghanaian farmers cooperative, Kuapa Kokoo, giving it 47% ownership. The company continues to be 100% Fairtrade. While continuing to spend billions promoting the junk foods which make us obese, in 2011 Nestlé will create a new Institute of Health Science to develop foods that will ‘treat and prevent illness’ and ‘improve health and prolong life.’ Nestlé will bridge the ‘divide between pure healthcare and nutritional food by researching ways to prevent diet-related diseases.’ All part of its strategic change of direction to become a ‘nutrition, health and wellness company’. From the documents regarding the Church Investment Group meeting, Baby Milk Action learned that FTSE has revised the criteria for breastmilk substitute manufacturers to enter its FTSE4Good ethical investment list. According to the CIG secretary, “FTSE had recognised the bar had been set too high by excluding all manufacturers.” Companies are not excluded by default, but by failing to meet the requirements of the criteria. Indeed, FTSE4Good admitted one manufacturer in 2007, only for its Gerber baby food business to be bought by Nestlé, which has since launched aggressive marketing campaigns using the brand, in violation of the criteria. This was exactly the request Baby Milk Action asked the Swiss Government to put to Nestlé in pursuit of our complaint of violations of the OECD Guidelines for Multinational Enterprises, but the Government refused (page 16). Baby Milk Action will gladly help in assessing any materials that are made available to the Committee. 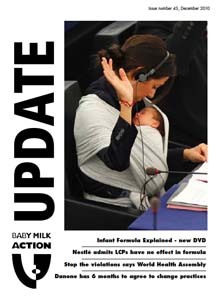 Update July 2011: Following the changes to the FTSE4Good breastmilk substitutes criteria, Baby Milk Action is recommending that people who want to hold baby food companies to account DO NOT invest in a FTSE4Good tracker. Click here for full details. International Nestlé-Free Week went multi-lingual this year as bloggers took it on themselves to translate Baby Milk Action’s press release. US bloggers organised a party on Twitter on the Sunday before the week began. This saw nearly 4,000 tweets on the day of the hour-long event posted to the #noNestle hashtag (go to twitter.com and search on the hashtag, which is still live). Some campaigners posted links to resources, such as logos to download to stick to non-Nestlé candy on Halloween. The plan for next year’s event - 31 October to 6 November 2011 - is to start publicising the week well in advance so people who don’t usually boycott know to be Nestlé-Free. From comments on blogs and bulletin boards, once people hear about Nestlé malpractice and try a week using alternative products, continuing to boycott seems natural. A week for those who support the boycott to do more to promote it and for those who don’t boycott to give it a go, at least for a week. Nestlé sponsored the London Marathon in 2010 with its controversial Pure Life brand of bottled water. Only Nestlé water was available, creating a dilemma for runners who support the Nestlé boycott as they had to break their personal boycott or put their health at risk. "Nestle will continue as one of the sponsors to the Virgin London Marathon next year (2011). The London Marathon’s sponsorship policy is confidential to the organisation of the event including the Race Director, CEO, Board of Directors and Trustees. "Charities should be transparent about any relationship they have with a commercial partner and put in place the appropriate safeguards. "Charities should be particularly cautious as co-branding or closely associating the charity with a company can become problematic if the company is discovered to engage in unethical practices or criminal activity. Charities need to carefully research the commercial participator and should consider whether a partnership with the commercial participator is appropriate and in line with the charity’s values and objects." 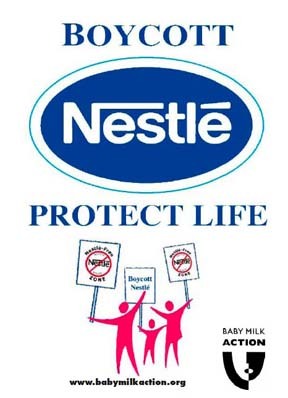 Any runners or spectators wishing to protest Nestlé’s role as sole water supplier for the next London Marathon on 17 April 2011 can contact Baby Milk Action. You can also join the campaign on Facebook: We want Nestlé out of the London Marathon. Baby Milk Action welcomes the decision of the United Reformed Church Assembly on 4 July 2010 to continue to support the Nestlé boycott until such time that Nestlé makes the required changes to its baby food marketing. 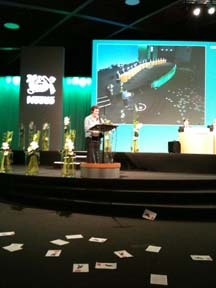 The Assembly referenced the FTSE4Good criteria. The Assembly rejected a proposal to end the church’s long-running support for the boycott. [Update November 2011: Some months later, in September 2010, FTSE weakened the FTSE4Good criteria with the express purpose of allowing companies to be included in the Index while continuing to violate the marketing requirements, claiming this would promote "engagement". Nestlé was added to the Index in March 2011. Rather than taking the matter back to the Assembly for review, and the URC Mission Committee (which represents Church and Society issues) "issuing an instruction to its Mission Council meeting to terminate the boycott of Nestle products." The Mission Council serves as the executive of the URC between General Assemblies and meets biannually - click here for details]. Nestlé Vice President Niels Christiansen had earlier met with representatives of the URC, the Methodists and other churches at the Churches Investment Group (CIG) and assured them that Nestlé had changed its ways. Mr. Christiansen apparently claimed that the company investigates all reports of violations - but also said the last report from the International Baby Food Action Network (IBFAN) contained only two genuine violations, which speaks volumes about how dismissive Nestlé is of complaints. Mr. Christiansen suggested that IBFAN continues to level criticism at Nestlé and other companies for the purpose of fundraising. IBFAN groups would be delighted if there were funds available for monitoring the industry, but the vast majority of people monitoring on the ground are volunteers and IBFAN has to charge for monitoring reports to help cover costs. One of those present at the CIG meeting raised violations she had seen simply browsing the company’s South African website. Mr. Christiansen said he would look into it. A representative of the Methodist Church said at the meeting that in his view the decision of the Methodist Church Central Finance Board to invest to ‘change things from within’ had been used by the company and misrepresented the Church’s position. In fact, Nestlé has been asked by the Methodist Church several times to stop suggesting the decision to invest was because there were no longer concerns. Mr. Christiansen said, ‘If that had happened, it was regrettable and would be looked into.’ He assured the URC that if it dropped the boycott and invested, Nestlé would not misrepresent the decision. Baby Milk Action was not invited to brief the CIG meeting and was only able to meet with URC representatives two weeks before the Assembly when a resolution to drop the boycott had already been put on the agenda. The alternative Resolution actually adopted, continues support for the boycott until Nestlé changes policies and practices in line with the FTSE4Good criteria and will help keep the pressure on Nestlé to change. Mr. Christiansen is apparently retiring from Nestlé at the end of 2010 - but we hope his successor will look into it (see page 18). 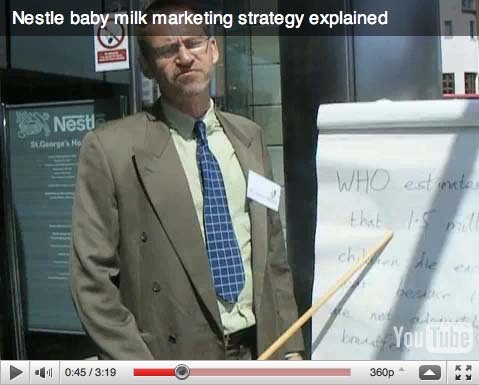 Spoof marketing guru Mr. Henry Nastie (played by Baby Milk Action’s Mike Brady) gave a 2-minute lecture on the steps of Nestlé’s UK HQ at the annual demonstration on 22 May 2010 explaining Nestlé’s latest global marketing strategy. Although delivered in an awful Swiss accent, everything in the talk was true - though you won’t hear Nestlé executives being so candid. Watch the film on youtube or Baby Milk Action’s website. The next demonstration will take place on Saturday 21 May 2011 at 11:00 in Croydon (or Nestlé’s new HQ if a rumoured move takes place). Baby Milk Action’s Policy Director, Patti Rundall, once more attended Nestlé’s Shareholder meeting in Lausanne, Switzerland in April (left) where Greenpeace activists created havoc by abseiling through the ceiling (page 22). 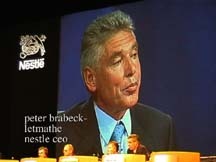 Paul Bulcke - SmallPaul Bulcke (right) took over the role of Chief Executive Officer of Nestlé from Peter Brabeck-Letmathé (below) who dismissed the majority of the shareholder criticisms as irrelevant to the company’s legal obligation to maximize the return on the shareholders’ investment. Brabeck warned against tying corporations up in a “regulatory straightjacket”, saying this was unnecessary when corporations such as Nestlé already had sound principles and core values! Patti challenged Nestlé on its health claims and ‘Protect’ logo, its lack of warnings on labels, its hopeless ombudsman system, its sponsorship and its marketing of junk food. Mr. Brabeck asked Richard Laube, Head of Nutrition to respond, acknowledging that she no longer trusted him. 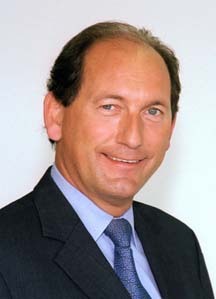 Paul Bulcke was head of Nestlé Latin America and was credited with achieving impressive gains in the infant nutrition sector. So it is no surprise that under his rule Nestlé is continuing to dismiss our complaints. Nestlé Vice-President for Corporate Affairs, Niels Christiansen, will retire at the end of 2010. Niels is credited within Nestlé ending the first Nestlé boycott in 1984, but the hollowness of the company’s promises led to the second boycott in 1989. His attempts to make Nestlé look good since then have fuelled rather than the quelled the boycott - today, Nestlé is one of the four most boycotted companies on the planet according to an international poll by industry analysts GMI. 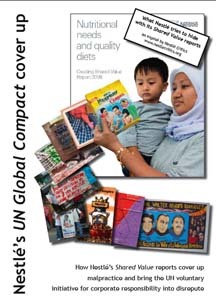 Neils launched ‘monthly’ Code Action reports in 1999, aiming to present Nestlé as code compliant, but these became an embarrassment and increasingly intermittent. After untrue allegations about us we demanded a right-to-reply which reached the global mailing list. As did apologies to government officials who complained about another of Neils’ initiatives: a hardbound, gold-embossed book of letters presented misleadingly as official verification of Nestlé’s supposed code compliance. 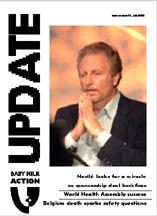 We featured Neils on the cover of Update 31 (2002) appearing to pray for a miracle as yet another sponsorship deal - this time the Hay Book Festival - backfired. Farewell Niels. Nestlé’s new Vice President is Janet Voûte - former Partnership Advisor to WHO with responsibility for the UN Global Compact and NCDNet (pgs 7, 16). We live in hope that Janet will stop her new colleagues at Nestlé from abusing human rights. Nestlé continues to roll out its misleading marketing strategy around the world, claiming its baby milk ‘protects’ babies, knowing that babies fed on formula are more likely to become sick than breastfed babies and, in conditions of poverty, more likely to die. Despite thousands of emails, Nestlé is attempting to justify practices such as those shown below. 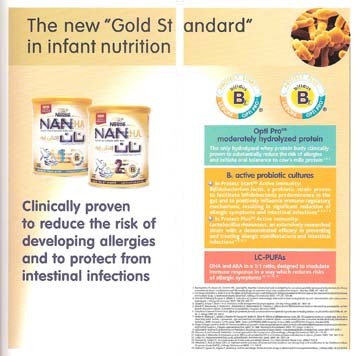 In the past Nestlé has referred to breastfeeding as the ‘Gold Standard.’ Its new campaign claims its formula is ‘The new “Gold Standard” in infant nutrition’ (left in Dubai). that ‘protects’ and reduces the ‘ incidence of diarrhea in the crucial first year of life’ on leaflets distributed to health workers in Egypt (below). 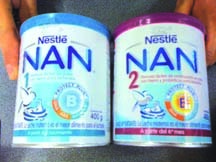 Left: Nan 1 (infant formula) and 2 (follow-on milk) with almost identical packaging and protect plus claim - on sale in Santiago, Chile, November 2010. 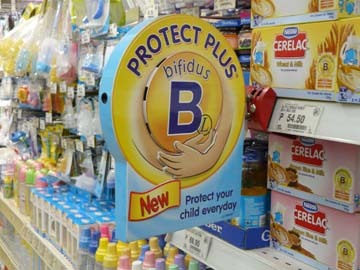 The ‘protect’ logo is also used on complementary foods to be cross-promotional and is used in point-of-sale advertising, here in the Philippines in November 2010. 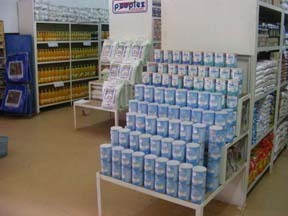 While Nestlé refuses to stop these practices, Nestlé’s Global Public Affairs Manager did eventually agree to stop point-of-sale promotions such as that in Malawi (below). The Office has been asked for information on how Nestlé has ‘learned from its mistakes’ and has provided no further information, though a briefing paper has been promised. The Office admitted that not one company has been excluded from the initiative as a result of complaints being registered. Companies are only excluded if they fail to provide reports, misleading or not. A leading Global Compact officer has now been appointed a Nestlé Vice President, replacing the head of the company’s anti-boycott team (page 18). Baby Milk Action also submitted complaints to the UK and Swiss Government over Nestlé violating the OECD Guidelines for Multinational Enterprises, another voluntary initiative which backers claim make binding regulations unnecessary. The UK passed the buck to the Swiss Government which offered to promote ‘dialogue’. Baby Milk Action asked it to request from Nestlé copies of its current infant formula labels and promotional materials so Baby Milk Action would not have to try to gather them from around the world - and be attacked if those on the market are ‘out of date’. The Swiss Government refused and said it was closing the case with immediate effect. See our briefing paper for further information - click here.